And now, for the first time in a very long time–given how much footage I found for Sesame Street season 6 and my unexpectedly extended hiatus–we have another assemblage of miscellaneous Jim Henson-related clips, all of which range from late 1974 to early 1975. The Wizard of Id, Etc. 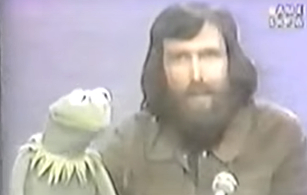 Today, once more we have a number of shorter Henson clips to look at before returning to the first season of Sesame Street the day after tomorrow. We begin with The Wizard of Id, a brief pilot based on the famous comic strip by Johnny Hart and Brant Parker, which was first launched in 1964 and continues to run to this very day. 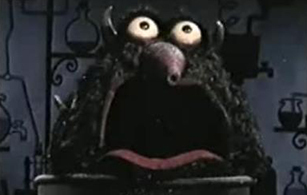 Although the show never came to be–apparently by the time the creators of Id started to demonstrate interest in the project, Jim already became too busy with Sesame Street and other projects–it’s significant as being the first time that Jim and his team ever designed puppets based on someone else’s work. Here, it was three puppets designed to look like characters from the strip. One could also see why Jim might have been less interested in it because it wasn’t his own work. The script also isn’t as inspired as those written for his own characters and feels very much like short back-and-forth comic strip scenes brought to life in succession. It’s even entirely possible that they did just use lines from the original strips, but either way it has a rather choppy quality. Now, it’s also possible that that is because this was just a brief 5-minute pilot and they would have broken out of this format had they filmed a full episode or went to series. But as it is, this feels more like a curiosity than a truly intriguing what-might-have-been such as Tales of the Tinkerdee is. It does, however, end on a cute bit in which the Wizard blows up each of the characters, then himself, saying: “Yes, sir, it’s a standard Muppet finale. If you don’t know how to end it, go out with a–” BANG! 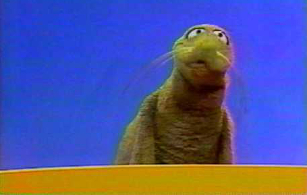 In the summer of 1967, Rowlf was enlisted by Ed Sullivan (again underlining in what high esteem Sullivan held Jim and the Muppets) for yet his next big assignment, as the emcee to a new variety show produced by Sullivan’s production company to air just that one summer–from July 2nd till September 3rd–while most of the rest of TV was on hiatus/in reruns. 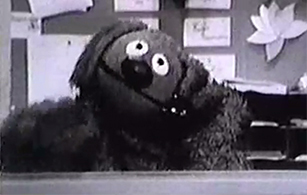 Along with Rowlf, Our Place also featured an adorably square musical group, The Doodletown Pipers–who would sing overly earnest covers of pop hits–along with the comedy team of Burns and Schreiber, namely Jack Burns and Avery Schreiber, the first of whom would go on to be the head writer on the first season of The Muppet Show, and the second of whom would appear in an episode that first year.